Garden planter 41 inches long 11.5 inches in the front and 18 inches in the rear, 21 inches by 9 inches deep. I give up on this site, I find no way to download any of the plans, yet I have signed up under to emails. It says free download plans, but I give up on how to get them. Guess I might as well unsubscribe from this stuff. This is a wonderful idea for the garden. Is there a plan to go with it ? I have already signed up for your articles and building tutorials. I have seen the pictures of your Wheel Barrow Planter. Are there plans for this item? 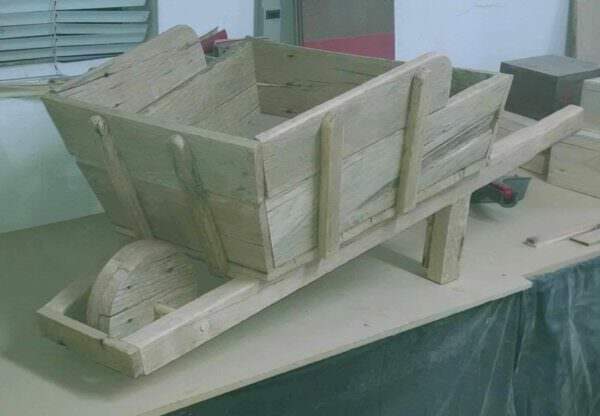 I found some info on a pallet wheel barrow. I cannot see where to go to download the Pallet Wood Wheel Barrow.